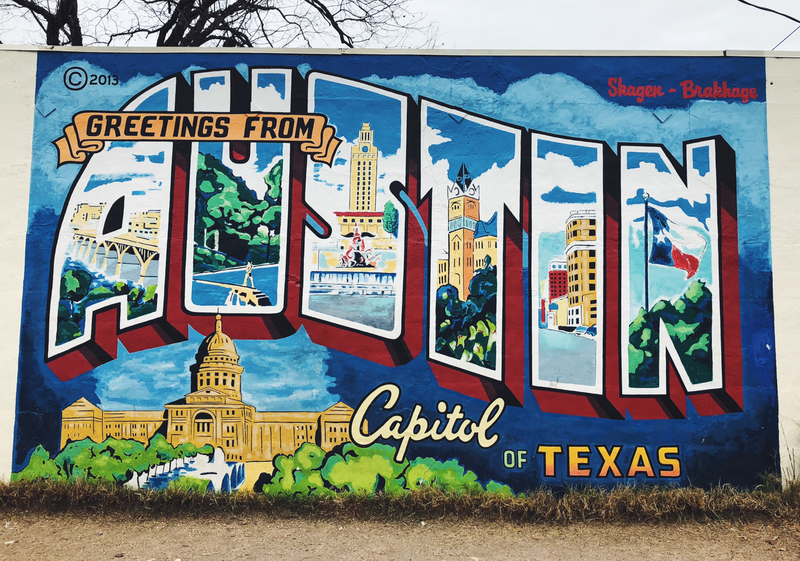 In recapping my trip to Austin, I rounded up my favorite meals and detailed where I stayed. 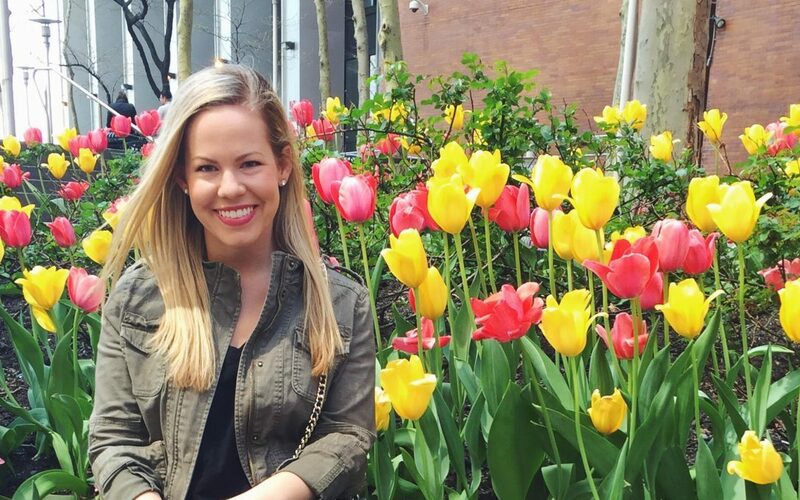 For part two, I'm featuring where to drink and what to do in the city! For reference, we were there for 2.5 days not including airport time. It was jacket weather for the entire trip, so we did not partake in any of the warm weather activities such as the Barton Springs Pool or kayaking on the Colorado River. Views of the Texas State Capitol building from Congress Street. 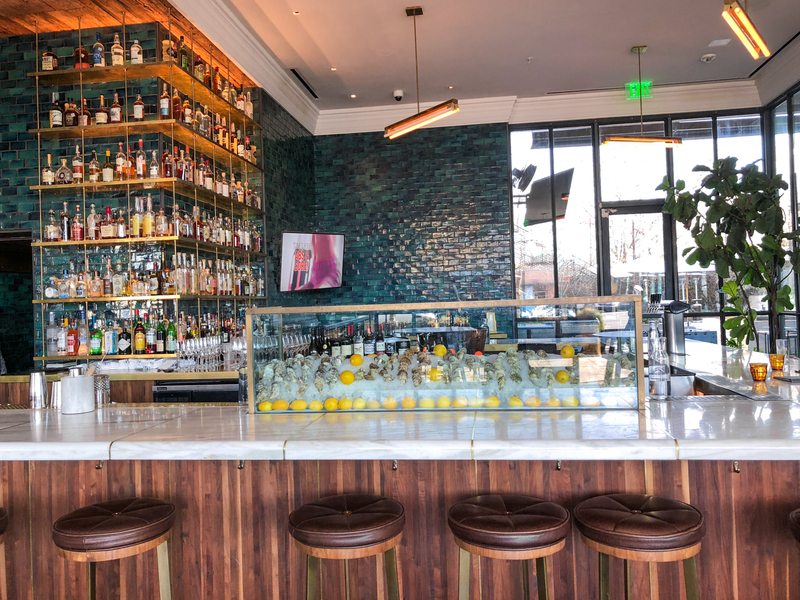 For an afternoon cocktail: Central Standard is a part of the South Congress Hotel. Originally, we had planned to go to Cafe No Se (also in the hotel) for brunch but wasn't able to (more on that here). When we checked out the area the next day, we found out that Cafe No Se didn't have a bar at all despite a yummy cocktail list! Thus, we ended up at this beautiful marble and brass bar with aqua tiles and an oyster display. 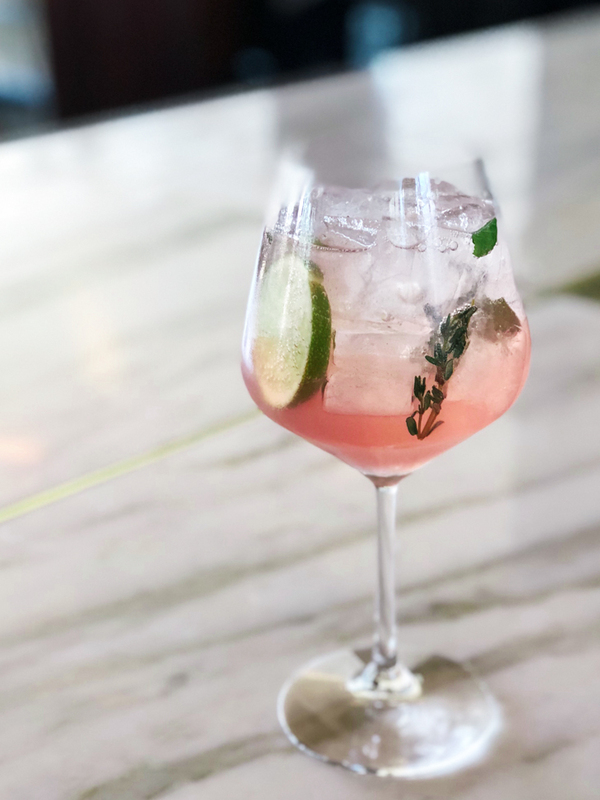 I ordered the House G&T, pictured below, that was surprisingly pink and so refreshing. It reminded me of Gigi's G&T, which I also loved. It's my kind of an afternoon cocktail! For entertainment and games: Buffalo Billiards, like any arcade bar, is a great place to keep in mind for the "in between" moments, the bad weather days, and the group gatherings. Our last full day was a Monday, and many museums we gained interest in during our trip were closed. The weather was cold and we had done SO much walking the day prior that we wanted to get out and chill somewhere. This was perfect! 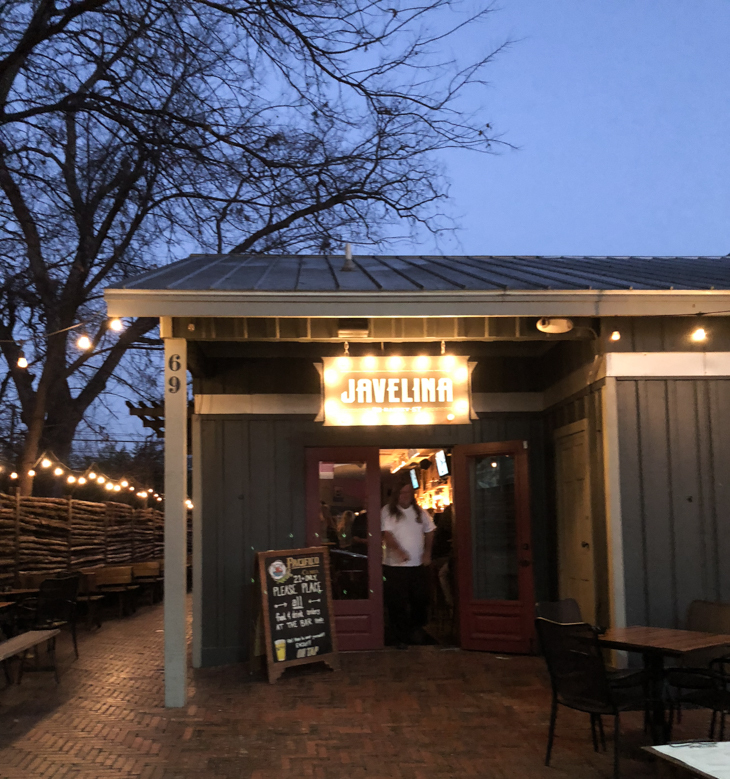 It is a huge place with pool tables, skee ball, shuffleboard, pin ball, foosball, darts and more located on East 6th Street across from the beautiful Driskill Hotel. 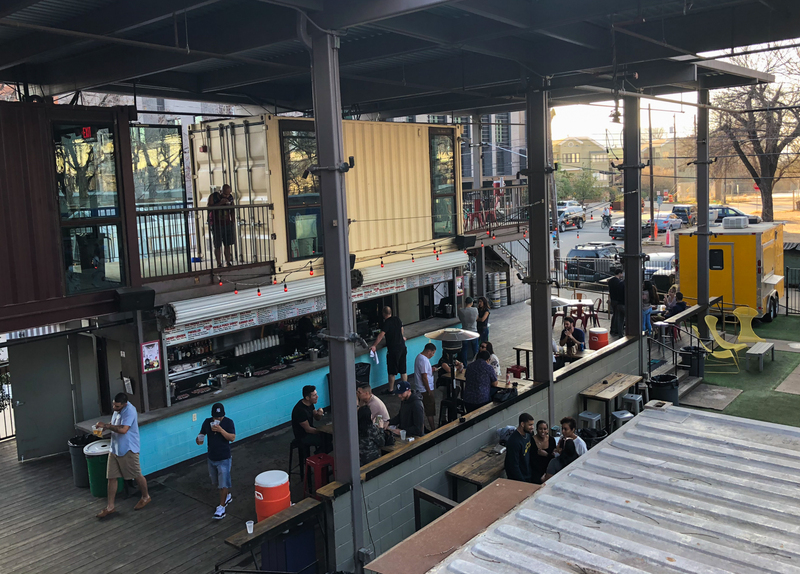 For a wild night out: Speaking of 6th Street, if you are looking to bar hop to sports bars, dive bars and the like, this is the place for you. East 6th Street, also known as "Dirty Sixth," blocks off about a block to pedestrians only. 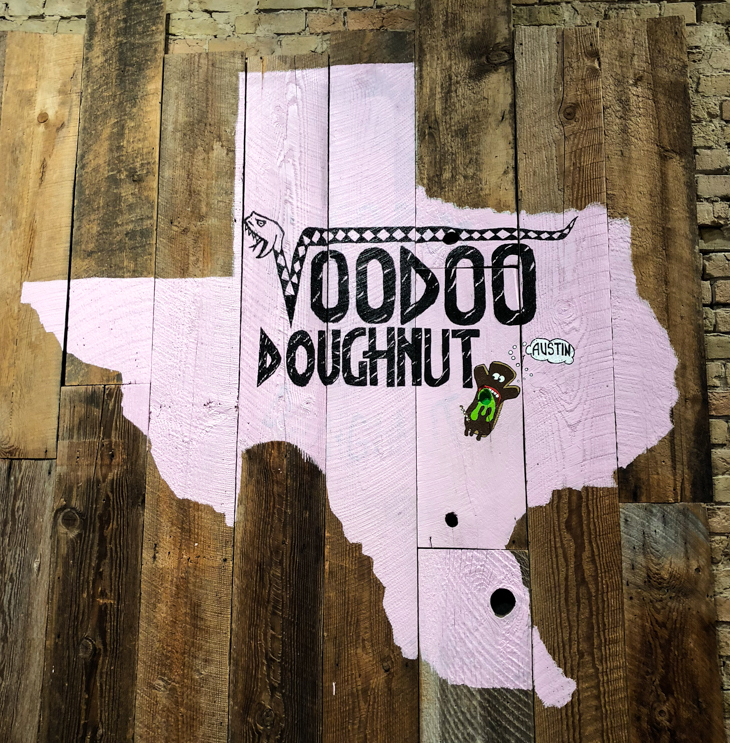 It's filled with rowdy young people, live music, pizza shops and Voodoo Doughnut. I would recommend it for college kids, birthdays, Bachelor and Bachelorette parties especially. If you head west on 6th, there are more restaurants and bars. We went to The Dogwood for the second half the Super Bowl. It had a wrap around bar outside, lots of TVs and an indoor area as well. 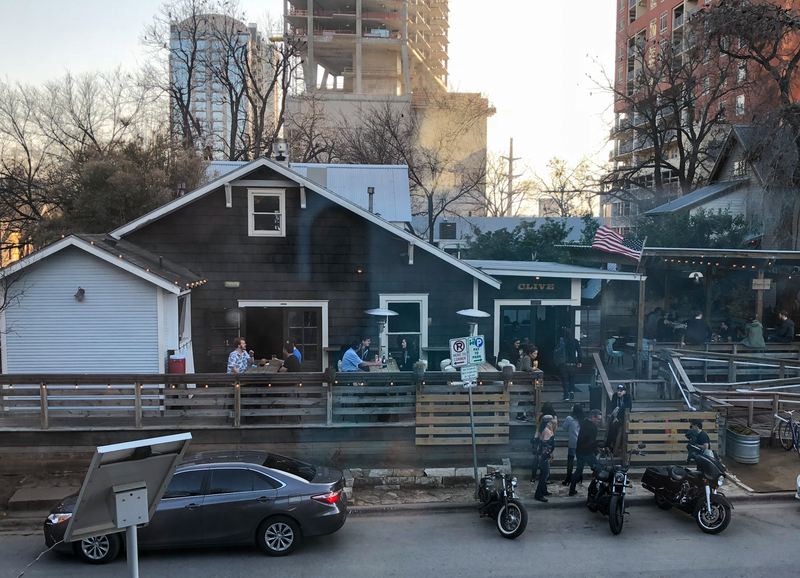 For a casual bar hopping: Rainey Street was my personal preference over 6th Street for bar hopping. Before my trip, it was one of the most recommended spots and I understand why. It's a short and very walkable charming street with bars that look like houses. 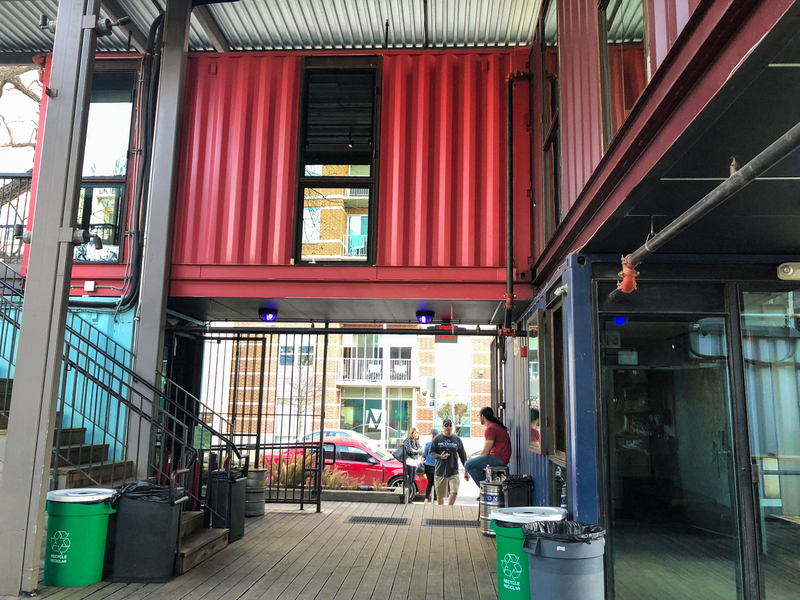 We went to Banger's for beer & sausages, Clive Bar for their wraparound patio and people watching, Javelina, and Container Bar to walk through the cool shipyard containers. I easily could have spent all night on this block! For the speakeasy experience: If you haven't learned yet, I love a good speakeasy. 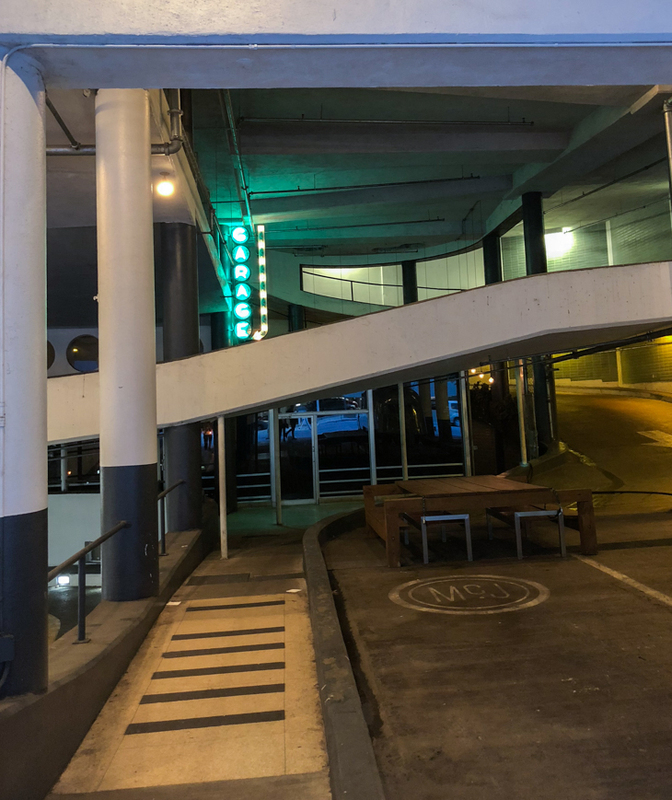 Garage is literally located in an operating parking garage – a first for me! Despite the neon sign, it was a little confusing where to go at first. Once we arrived, we were pleasantly surprised by how big it was! 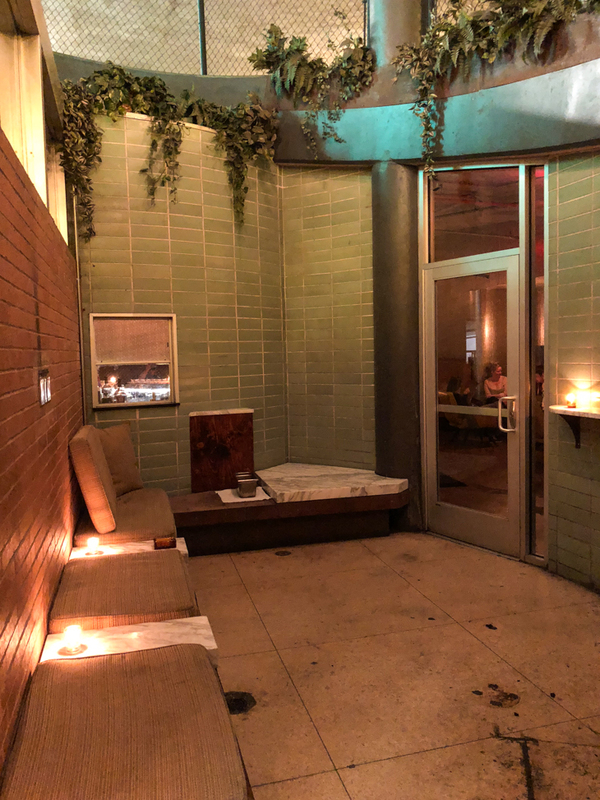 There was candlelit lounge couch seating along the perimeter, as well as a 10-or-so seat bar. 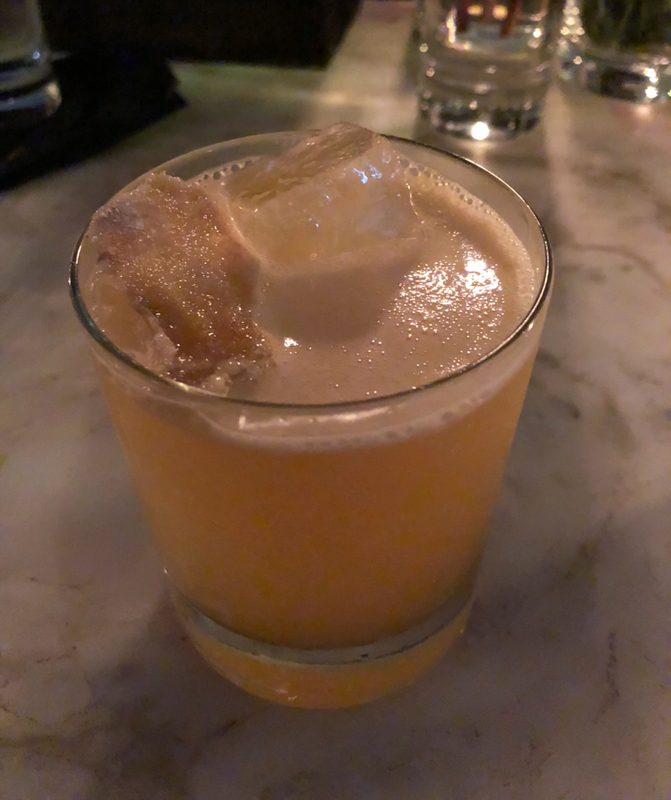 I had the Knute Rockne with gin, lime, maple, sarsaparilla and star anise (bottom left) and my boyfriend had the Penicillin with scotch, earl grey, lemon, honey and ginger (bottom right). They also had a small "fuel" food menu with innovative small plates and desserts. It's an upscale, cozy yet friendly atmosphere that is perfect for dates! 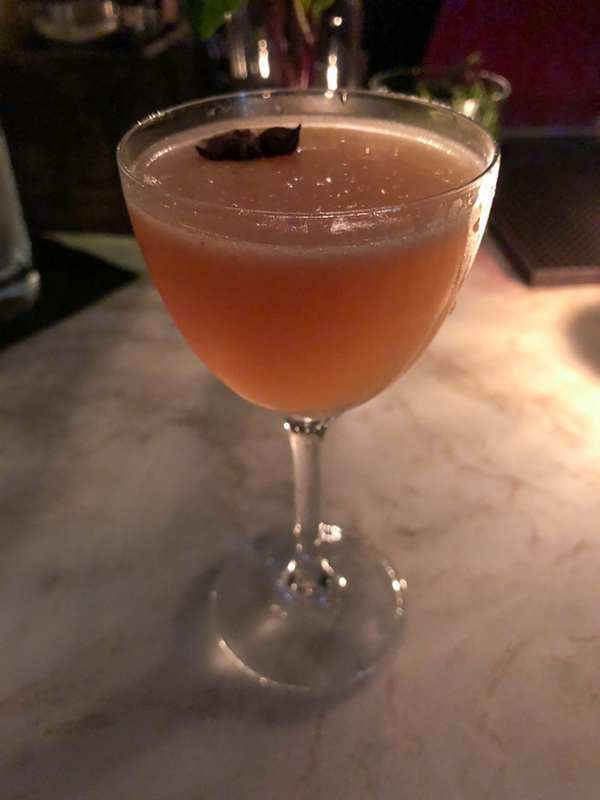 I also enjoyed the Ice Ball cocktails at Swift's Attic – more on that here! 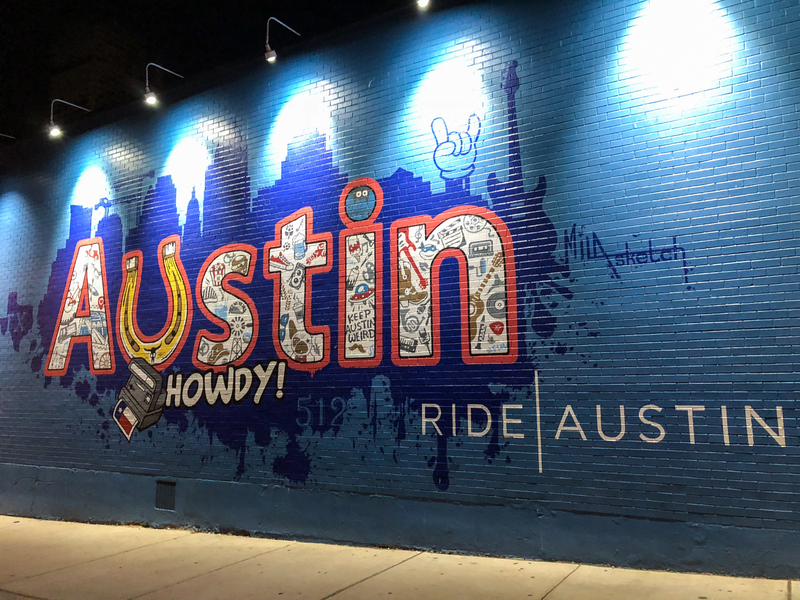 For the Instagram: I had seen pictures of the "Greetings from Austin" mural, which shows up on Google Maps if you're interested (located at the corner of South 1st Street and West Annie Street). I had honestly forgotten about it, but when we were walking around a little after Elizabeth Street Cafe, my boyfriend said, "there's the sign!" Good thing someone was paying attention, haha. Warning: to get the whole mural in a picture, you have to stand in the road. Not ideal, so be careful! For the artsy type: As I shared on Instagram, I'm usually not a huge graffiti person. 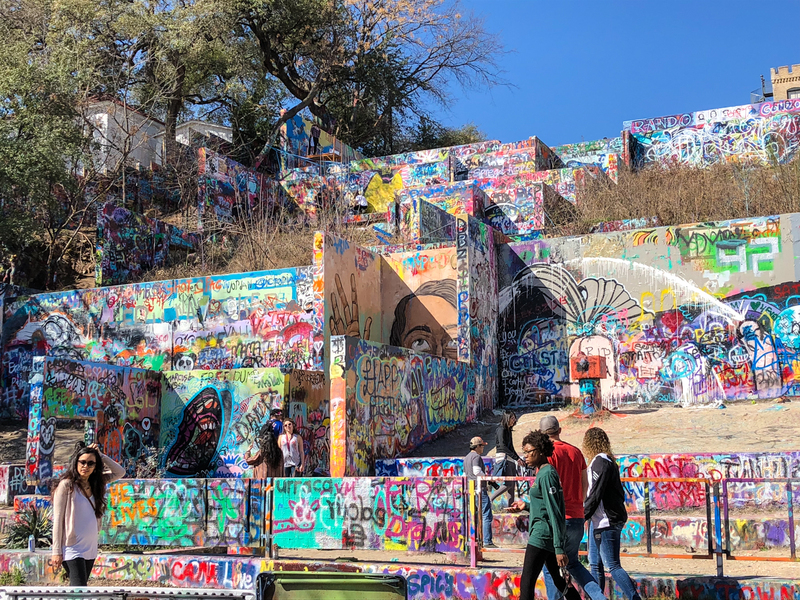 I had read about Graffiti Park multiple times and kept it on my list as a "maybe" – not priority, but open to seeing it if we are in the right place at the right time. I'm glad we were, because it was quite a sight! Unfortunately, I read that they are tearing it down in a few months to build more condos (ugh), so check it out soon! There were guys out front selling spray cans so anyone who visited could "tag" and make their mark – a cool community spot! 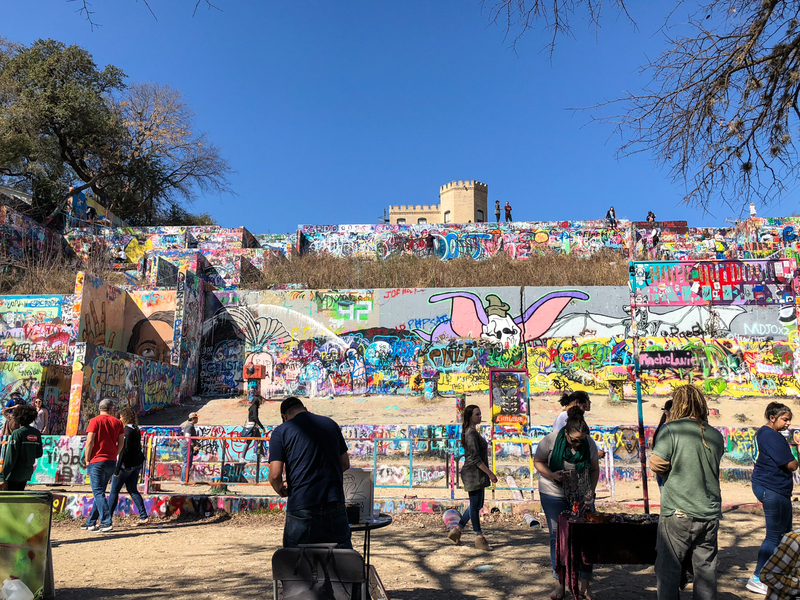 We didn't care enough to buy spray paint personally, but I did notice that many people were climbing up to the top for a skyline view of Downtown Austin! For the shopping lover: I always wish I was one of those people who shopped while I traveled. I rarely do, mostly because I never feel like I have room in my suitcase! I envy friends and family who come home from trips with unique, beautiful pieces that remind them of their trip. 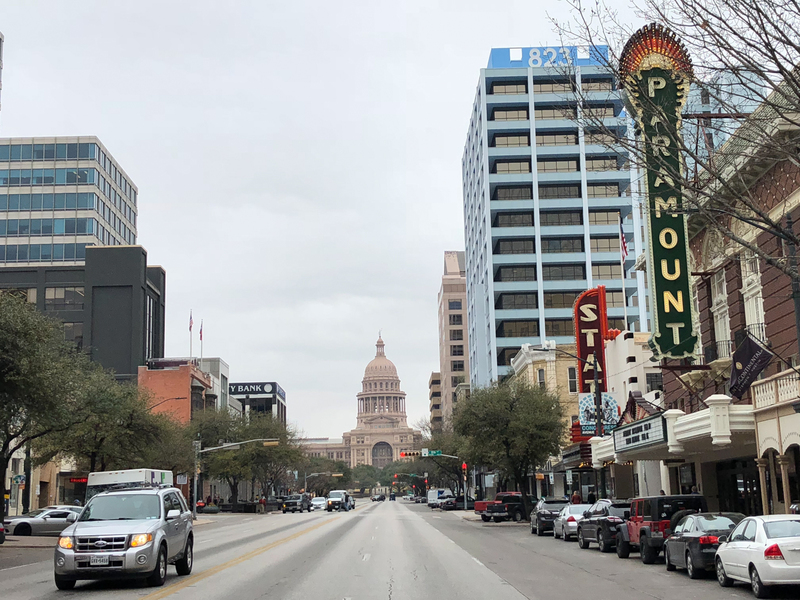 That said, I did notice a variety of boutiques on South Congress Street (also known as SoCo) that would be worth checking out if you do like to shop! 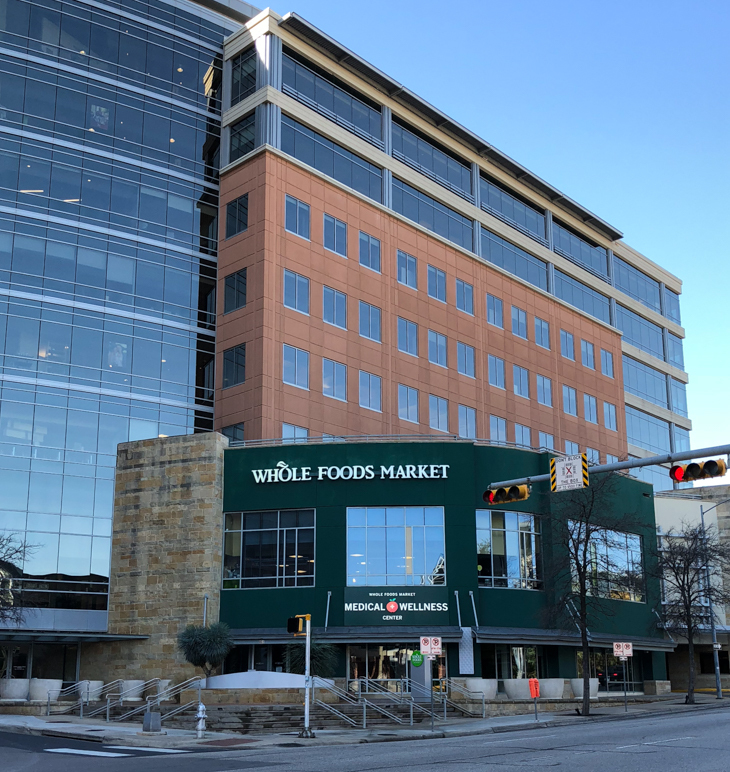 For the domestic home cook: Whole Foods corporate offices are located in Downtown Austin. As you can imagine, the Whole Foods retail grocery store next to it on Lamar Blvd is THE BEST. Imagine the nicest Whole Foods you've been to, and multiply it by 4. From the selection to the to-go taco and BBQ counters alone, it's worth a stroll. They also had an area for samples to test out new products. 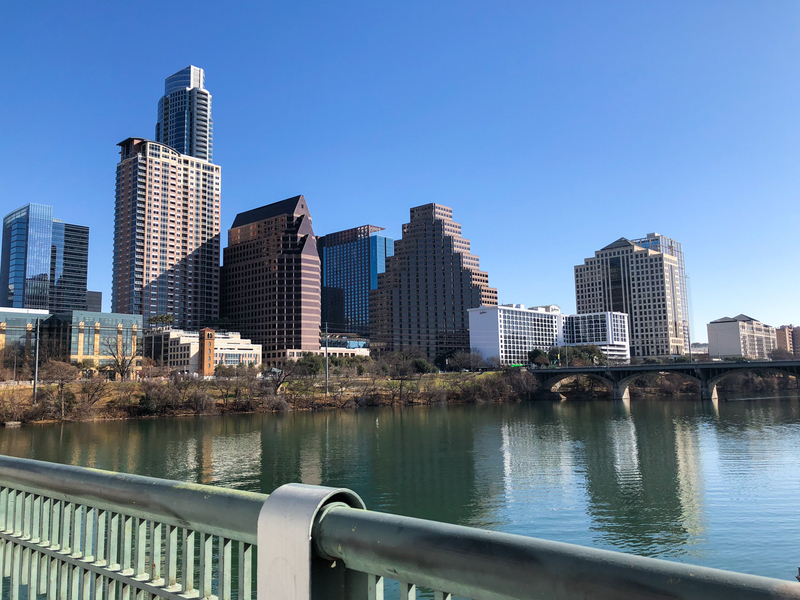 For the exercise fanatics: One thing that stood out to me in Austin was how healthy the lifestyle was. 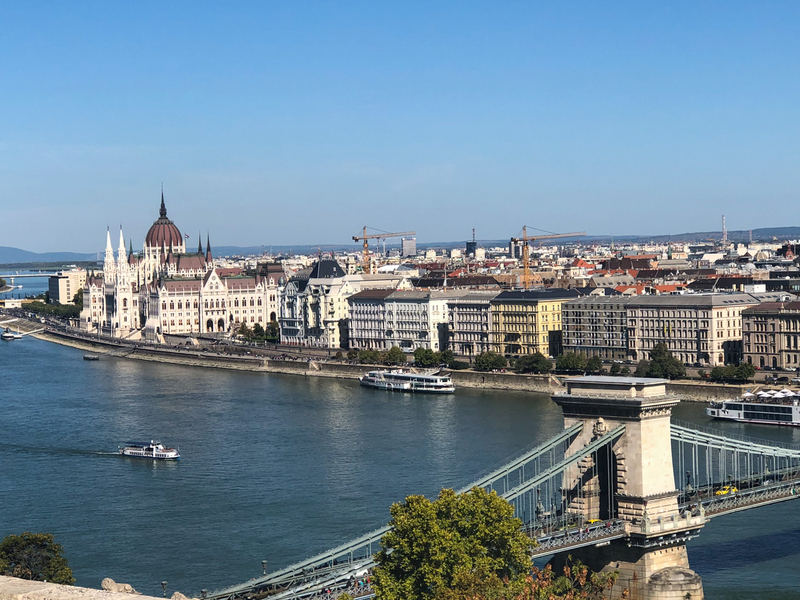 There were numerous bike shops, bike lanes, jogging trails, walking paths, paddle boarders, kayakers, dog walkers, hikers and health-conscious food options. Everyone seemed to be out and about, often in athletic attire, all times of the day. I was also surprised how hilly the city was! 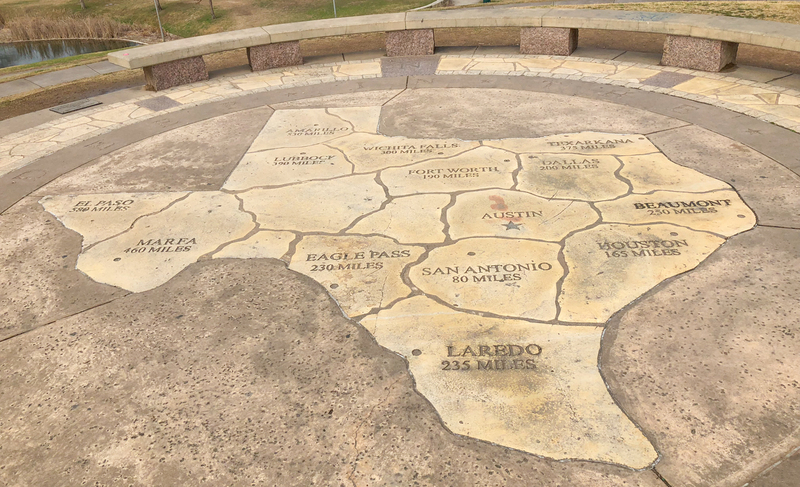 Not all Texas is flat it turns out, haha. We took advantage by doing quite a bit of walking each day and always walking over the bridge to get to Downtown. South of the river, we continued to do a lot of walking even though it was more spread out due to parking lots at each place. In planning, I always study Google Maps to get a feel for walking times. Sometimes a few blocks looks like it'll take you 5 minutes to walk it, but really it's 15 minutes! 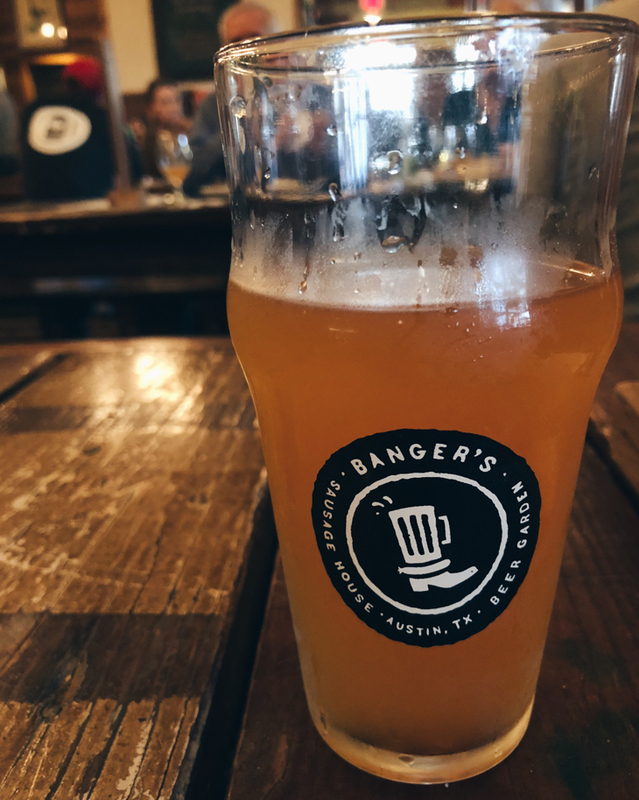 Where are your favorite places to drink in Austin? How about your favorite things to do? 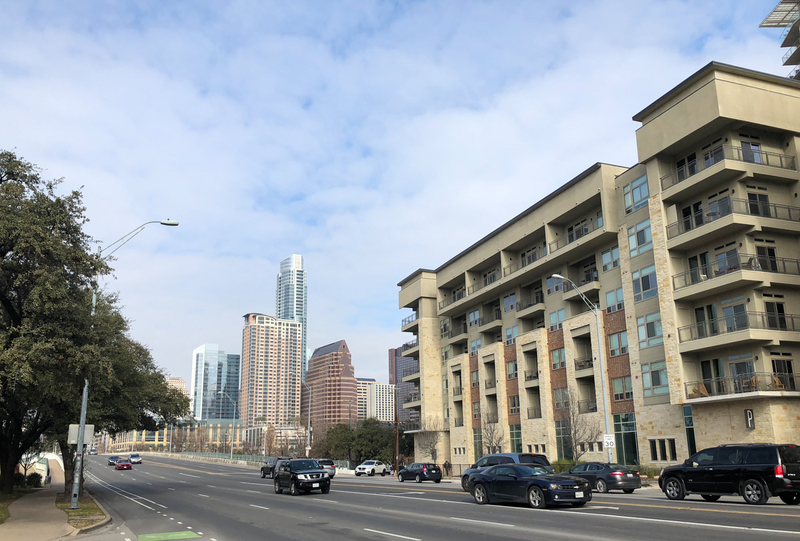 I hope to check out the museums, warm weather outdoor activities and more of Rainey Street and the higher-end cocktail bars off of 6th Street next time!